RVS (Formerly WRVS) are a charitable organisation offering support services to healthcare providers. 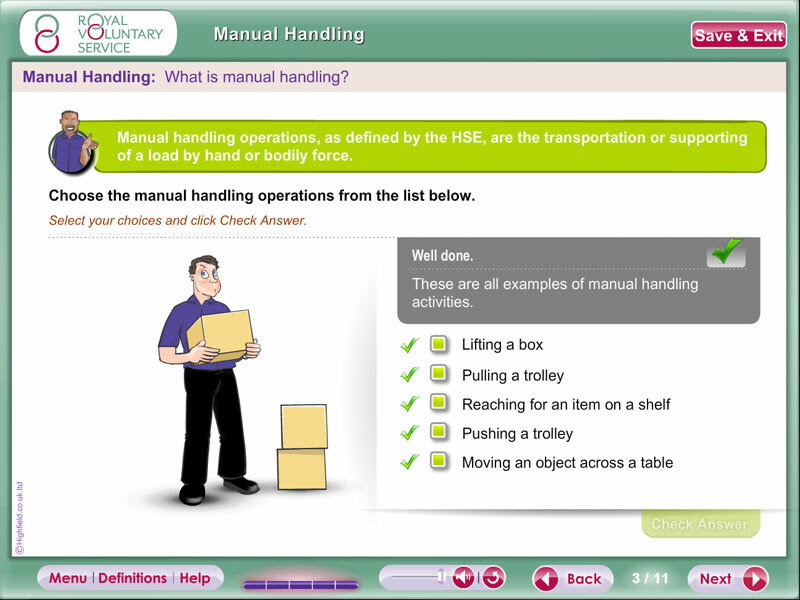 RVS required a flexible Food Safety and Health and Safety Training system in addition to customised Manual Handling Training. The training had to be interactive and simple to use to account for RVS’s user base, a user base which included a high number of volunteers who were at or above retirement age. Highfield provided an off the Shelf Food Safety and health and Safety training and certification package. We subsequently provided a bespoke manual handling course. 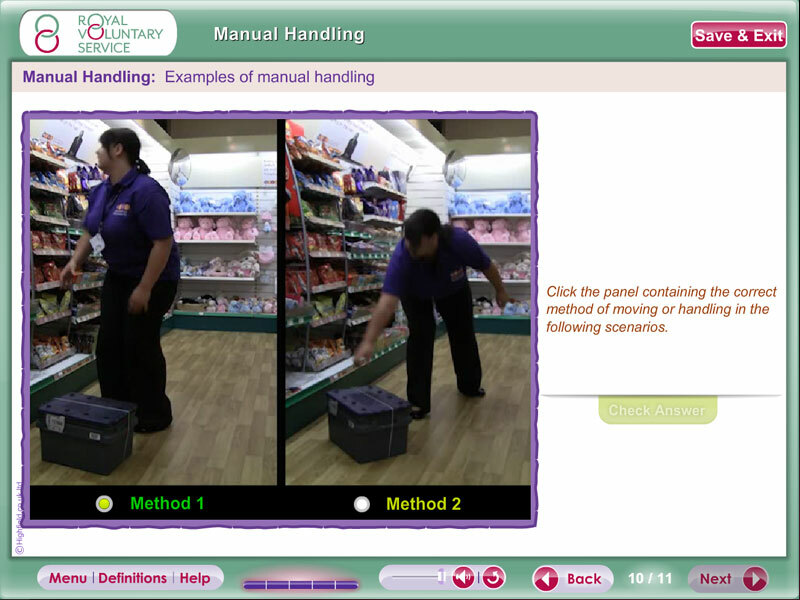 To ensure the content was relevant we filmed interactive video exercises on site using product, uniforms and environments which would be familiar to employees and volunteers.